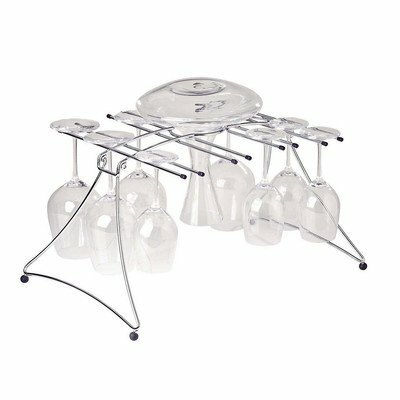 Hang on, the size of this popular dryer has now been expanded to hold 16 glasses plus a decanter!The perfect tool for air-drying your glassware. Oenophilia Porto Sippers are guaranteed conversation pieces! These hand-blown serving glasses date back to 17th century Europe, where they were known as Schnapps Pfeiffen. The design of these glasses allows the wine to be sucked from the bottom of the glass, ensuring that oxygen doesn’t come in contact with the majority of the liquid, effectively reducing the oxidation of the wine. These small glasses are meant to be held in the palm of your hand, so the wine is slightly warmed and delivered to the correct place on your tongue. These glasses provide an especially enjoyable way to savor port, dessert wine or liqueurs. This set contains a Decanter and 4 Port Sippers in a gift box. All items in this set are hand washable only and each sipper measures 3.5" in height. Like our Perfect Stemware, this decanter is the result of searching for a basic decanter that will fill all of your decanting needs. The wide bowl allows for a maximum breathing surface. 750 ml.Gift boxed.Like our Perfect Stemware, this decanter is the result of searching for a basic decanter that will fill all of your decanting needs. The wide bowl allows for a maximum breathing surface. 750 ml.Gift boxed. Oenophilia's Tear Drop Decanter brings timeless elegance to your table with its curvy, traditional decanter body. 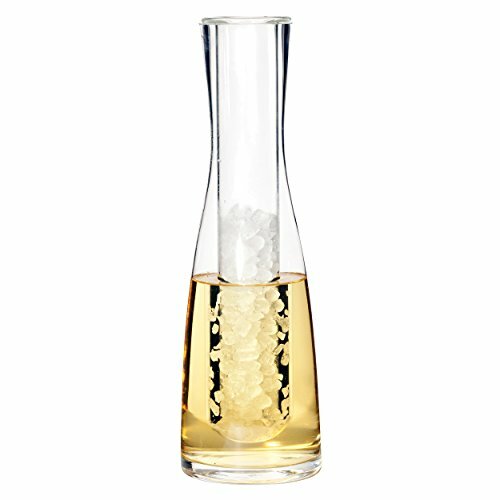 Made of gorgeous, crystal clear glass, this decanter can accommodate more than just wine, including juice, water, tea, and other beverages. This lovely decanter manages a large capacity in a charming design. To maintain the beauty of this decanter, it is recommended to clean by handwashing. This decanter measures 4” L x 4” W x 9.25” H.
The Oenophilia Unisex Chill Decanter in Clear includes a removeable cylinder to hold ice and keep your wine chilled. 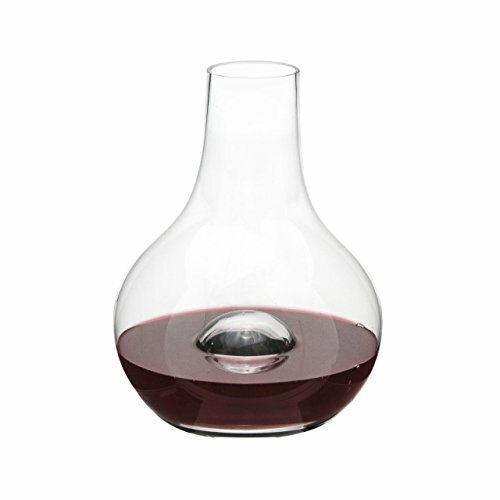 This decanter is a sort of "inside-out" wine bucket that serves a similar purpose but much more stylishly. Boasting a 750 milliliter capacity, your favorite wine will look and taste amazing in this decanter. To maintain the beauty of this decanter, it is recommended to clean by handwashing. 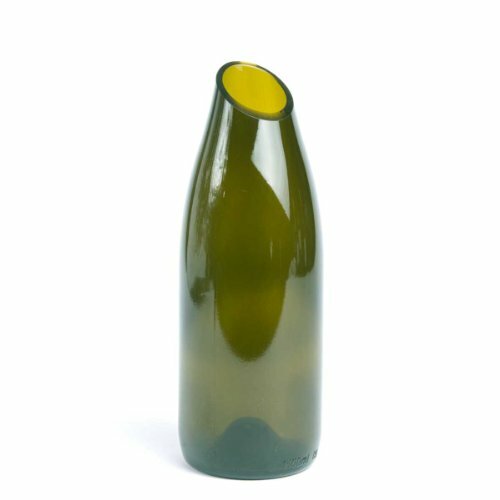 This decanter measures 5.3” L x 8.1” W x 14.9” H.
This Greenophile magnum-sized wine bottle carafe is made from recycled glass, so it's smart, stylish and ecologically sound. Perfect for decanting wine or serving water and other beverages at the table. Also makes a great vase for flowers. 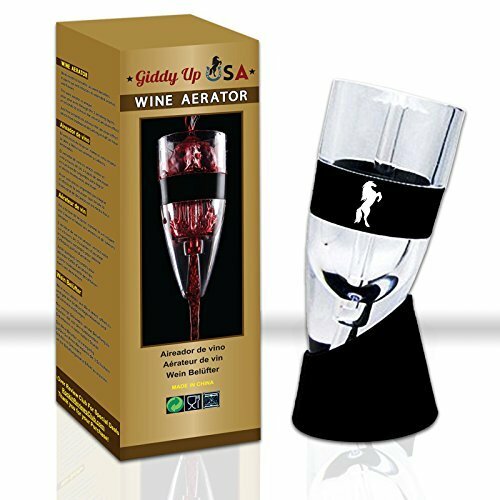 The Oenophile Atlas Aerator is ideal for enhancing the flavors and bouquet of your wine. Inside the glass globe-shaped design are 12 aerating cones that break up wine as it is poured, introducing the maximum amount of oxygen. For the best results, hold the Atlas completely inverted and decant your wine with a wide decanter as you pour. Try our Perfect Decanter that compliments this Atlas Aerator. The elegant design of the Oenophilia Edison Decanter makes it a beautiful way to present wine at a tasting or dinner party. The traditional decanter shape provides an ideal storage option for your favorite wine for maximum aeration. 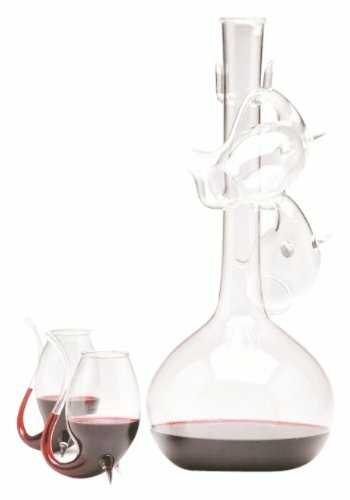 The unique, innovative decanter is designed to maximize air circulation, resulting in enhanced flavors, open aromas and a smooth finish. With an ideal capacity of 750 mL, the maximum capacity of this decanter is 1.5L. This glass decanter measures 7"L x 9"H x 7"W and is hand wash only. 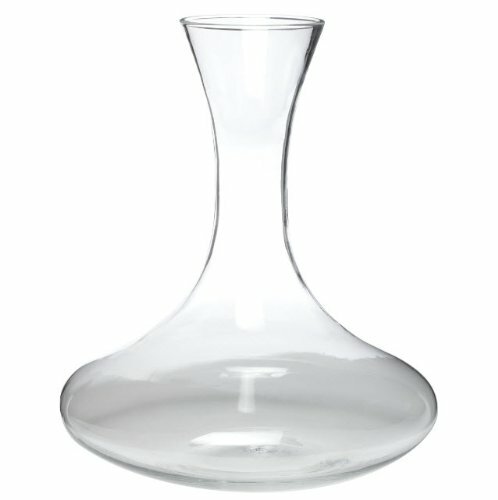 Looking for more Oenophilia Glass Decanter similar ideas? Try to explore these searches: Alpaca Hat Pattern, C.1880 Colour, and Star Wars 30th Anniversary Coin. Look at latest related video about Oenophilia Glass Decanter. Shopwizion.com is the smartest way for online shopping: compare prices of leading online shops for best deals around the web. 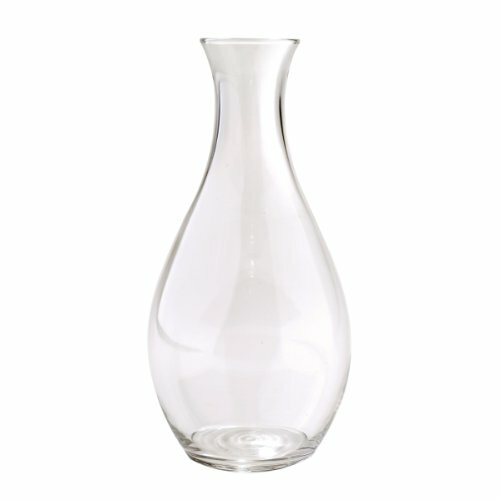 Don't miss TOP Oenophilia Glass Decanter deals, updated daily.